Pink Polka Dot Books: Welcome to the FFBC: Isle of Blood and Stone by Makiia Lucier-- Interview & Giveaway!! 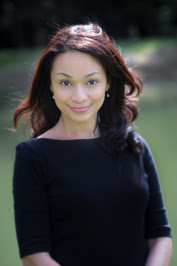 Welcome to the FFBC: Isle of Blood and Stone by Makiia Lucier-- Interview & Giveaway!! Hi Makiia!! 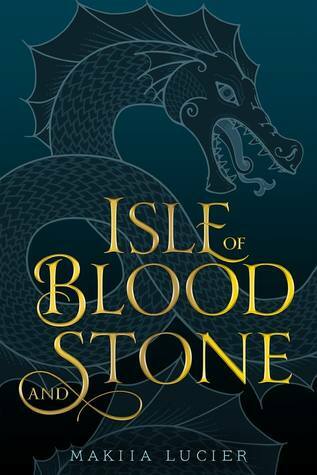 We’re so excited to have your book in our FFBC Tours, and can’t wait to ask you a couple of questions about ISLE OF BLOOD AND STONE!! Could you tell our Book Addicts a little bit about ISLE OF BLOOD AND STONE? Sure. Nineteen-year-old Elias is a royal mapmaker who discovers a riddle hidden in the borders of an old map. The riddle suggests that two young princes, supposedly kidnapped and murdered nearly twenty years ago, did not die after all. I would describe Isle of Blood and Stone as a mystery, and adventure, a love story. As a kid growing up on Guam, I was obsessed with the Indiana Jones movies. I wore out our VHS copy of Raiders of the Lost Ark. I waited in line, in the sweltering, tropical heat, on opening days for The Temple of Doom and The Last Crusade. 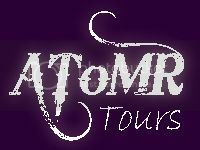 The snakes were awesome and so were the catacombs full of rats. But what I really loved was how Indy solved puzzles, turning the clues over in his mind, and using his knowledge of art, history, and myth. Your childhood favorites stay with you always. At least they have for me. This I realized while writing Isle of Blood and Stone. It’s inspired by my love of adventure stories with smart, funny, brave heroes. It is the kind of story I grew up loving, the kind I would wait hours outside a movie theater to see. Can you tell us 3 interesting things about Elias? He is the opposite of a germaphobe. He has loved the Lady Mercedes for as long as he can remember. Tell us your favorite quote from ISLE OF BLOOD AND STONE. If you had to pick one song to be the Theme Song for ISLE OF BLOOD AND STONE– Which one would you pick? The theme song from Indiana Jones! Do you have favorite fantasy/adventure books/movies/tv shows? Movies and TV: Master & Commander: The Far Side of the World, Lord of the Rings, Stars Wars, Game of Thrones, The Walking Dead. Books: His Majesty’s Dragon (Naomi Novik), Graceling (Kristin Cashore), Daughter of the Forest (Juliet Marillier), Shadowfell (Juliet Marillier), basically anything by Juliet Marillier. 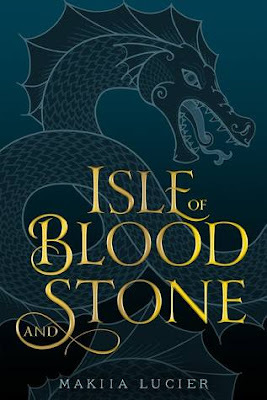 Are there any recommendations you could give your readers to be in the “perfect mood” to read ISLE OF BLOOD AND STONE (specific music, snacks…)? Right now I’m working on a companion to Isle, which should be finished this year and published in Spring 2019. Thank you so much for everything, Makiia! I loved this interview-- I just finished Letters to the Lost yesterday and I totally 2nd that recommendation!! I also am a big fan of 80's power ballads and read a ton of SVH and BSC growing up. This book is gorgeous! I love the promised secrets and mystery. It's always so interesting learning about an author's inspiration behind a book! Elias sounds like an interesting character, and this sounds like an interesting book! This book looks great. Thanks.